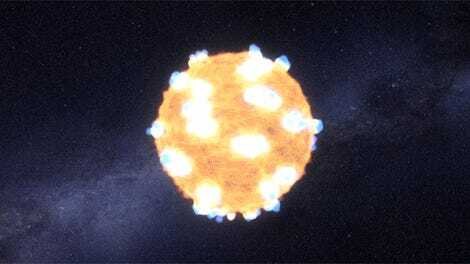 The star system Eta Carinae has puzzled astronomers for centuries because of its oddly variable brightness—as bright as a supernova explosion at one point in the 19th century. Now astronomers from the University of Arizona have determined that there were at least two earlier explosions in the star’s long history, making this a very strange star system indeed. A star can go supernova in a couple of ways. If it’s massive enough, when its fuel runs out—i.e., the nuclear reactions at its core stop—there is no longer sufficient internal pressure to keep the star from collapsing in on itself. When the outer layers hit the core, they explode outward, spewing debris into the surrounding space. Alternatively, matter can pile up onto a white dwarf star, until it gets so dense it triggers an explosion. Eta Carinae doesn’t fit either scenario. 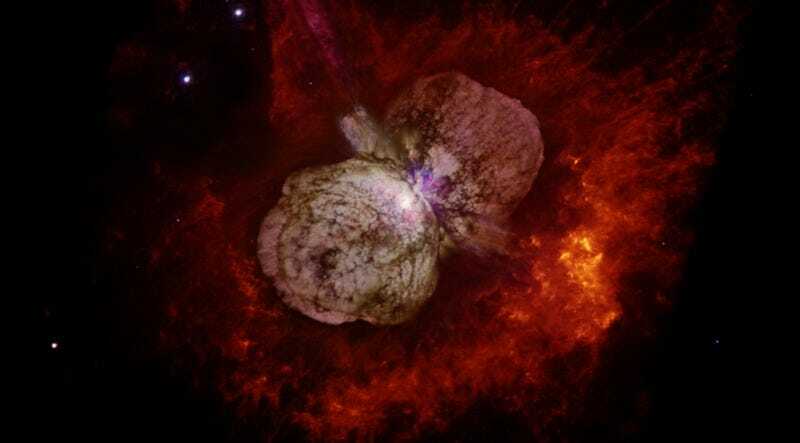 In the mid-1800s, Eta Carinae got so bright it outshone most of the other stars in the night sky, before fading away. 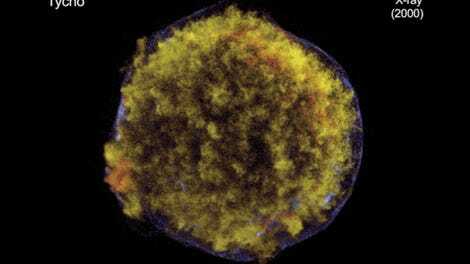 That’s the hallmark of a supernova, and the gas and debris produced in that so-called Great Eruption formed the Homonculus nebula. 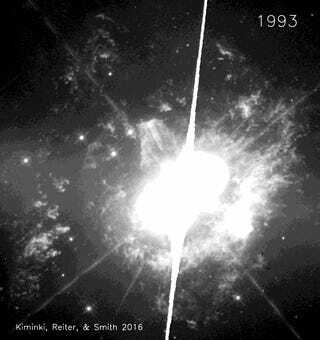 Except Eta Carinae didn’t stay “dead.” It got brighter around 1890, and again in 1953, and abruptly doubled in brightness in 1998-1999. “Eta Carinae is what we call a supernova impostor,” Megan Kiminki, a graduate student at the University of Arizona, said in a statement. “The star became very bright as it blew off a lot of material [in the 1800s], but it was still there.” She is a co-author of a new paper in the Monthly Notices of the Royal Astronomical Society detailing these new findings. Along with her professor, Nathan Smith, and Megan Reiter, a postdoct at the University of Michigan, Kiminki pored over images of the star system taken by the Hubble Space Telescope over the last two decades. At first they were just measuring the motions of streams of matter being ejected from new stars forming in the Carina nebula. Then they realized the same approach could be used to measure how fast the debris ejected by the star system itself was moving. All those glowing gases of the surrounding nebula make it tough to really see what’s going on. By measuring how fast those gassy clouds are expanding, the team could ferret out valuable clues about the star system’s history. Specifically, they tracked the movement of around 800 blobs of gas by aligning various images taken at different time periods, and calculating a likely date for the eruption that produced each one. “This is a bit like reconstructing the eruption history of a volcano by discovering ancient lava flows,” said Smith. It turns out to be quite a violent history. The Arizona team found evidence of two earlier eruptions: namely, the gas that was further away from the Homonculus nebula was moving more slowly than the debris closer in. That means it must have been produced by earlier eruptions, in the 13th and 16th centuries, respectively. Exactly what caused the Great Eruption in the 1800s remains a mystery, but the fact that it wasn’t an isolated event adds an important piece to the puzzle. And this discovery is consistent with a subclass of supernova explosions, whereby massive dying stars experience a series of violent eruptions before finally going supernova. In fact, Eta Carinae may have done so already—it takes 7000 years for light to reach us from that region of space.